Television Programme Shortcuts for the Australian capital cities and regions. 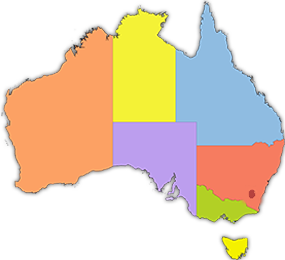 Try out our new interactive map of Australia, to help you find your TV Guide for your city and/or region. Or, simply click on the state/territory of your choice to see the TV Guides available for each region. These free guides are for television programmes broadcast on all Australian free to air T.V. channels. To find programming information for other regional centres please use the links above.